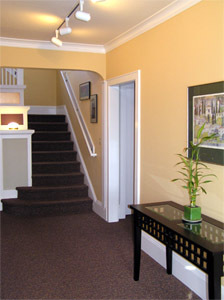 Pearl Street Offices is the working space for several mental health professionals in the Eugene area. Counselors, therapists, social workers and psychologists are available at our easy-to-find location to help with a variety of needs for individuals and families. Each professional located at our office is an independently accredited individual with their own specialties and focus. We encourage you to get to know the professionals at Pearl Street Offices by visiting their biography page.